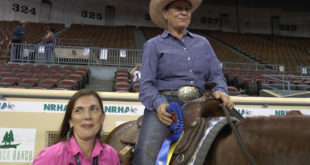 Colleen McQuay – What does Tulsa Reining Classic Offer? 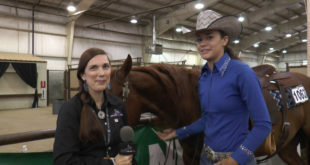 Colleen McQuay talks with us about all the great opportunities happening at Tulsa Reining Classic! Check out Colleen’s video! 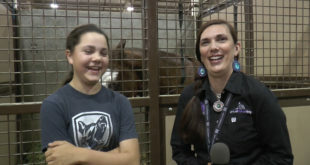 Abby Mixon shares with us her first horse memory in this biography video! Check out Abby’s video! Tim McQuay – What’s next for Tim McQuay? 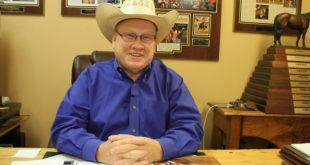 With the upcoming dispersal of McQuay Stables, we wanted to know what is next for Tim McQuay. Tim answers this question in our latest video. Mathieu Buton talks and shows us how he controls his horses’ speed. Check out Mathieu’s video! Yonathan Baruch is back with his biography videos. 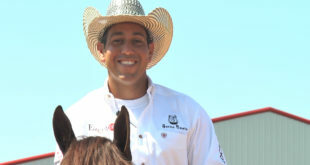 In this one, Yonathan talks with us about his favorite reining show. Sebastian Petroll talks with us and shows us the correct way to fit a bit. Check out Sebastian’s first training video with us! 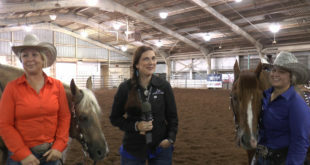 Abby Mixon talks with us about stirrup length in this latest training video. Check out Abby’s video! 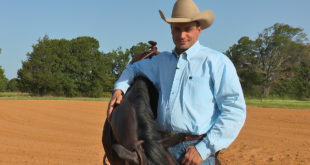 Yonathan Baruch talks with us about his horse training philosophy in our latest behind-the-scenes video! Check out Yonathan’s video! 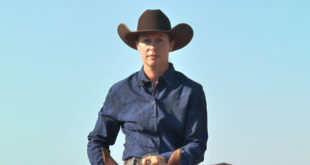 Abby Mixon talks about how to ensure you get time in the pen without burning your horse out. Check out Abby’s video! Yonathan Baruch finishes up his three-part series on collection in this latest video. Check out Yonathan’s video. 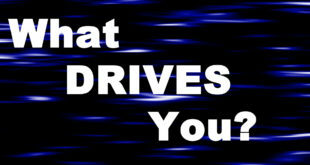 We asked various reiners at the NRHA Derby, “What drives you?” Check out their answers in our latest video! 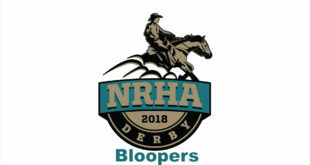 We, as usual, had some pretty funny bloopers. We hope they bring a smile to your face. Check them out! Mattie Gustin won the Youth 14-18, the Unrestricted Youth, AQHA Youth 14-18 and the USA Reining Youth 14-18 in Sunday’s youth ancillary action! Check out Mattie’s interview! Madison Pokluda won the 10 & Under Short Stirrup on Sunday in the big pen at the NRHA Derby. Check out Madison’s interview! 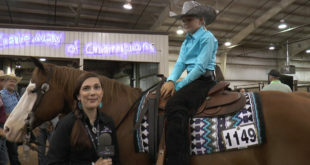 Anais Goedertier won the USA Reining 13 & Under in Sunday’s ancillary classes. Check out Anais’ interview! 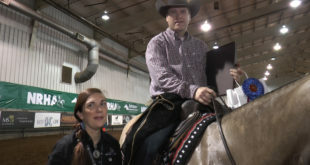 Dana Pastorino won both slates of the Green Reiner 2 and earned the High Point Buckle for the wins. Check out Dana’s interview! 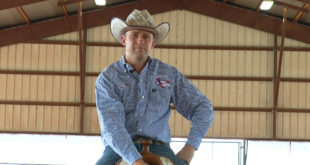 Robert Peterson won the Green Reiner 1 in Sunday’s ancillary action, and he also earned the Green Reiner 1 High Point buckle for the weekend. Check out Robert’s interview! 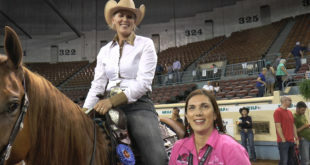 Kari Klingenberg won the Level 2 Open in Saturday’s Open Derby Finals. Check out Kari’s interview! 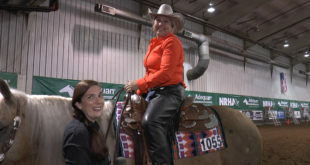 Debbie Brown won the Level 1 Open Derby after the completion of the Open Derby Finals on Saturday. 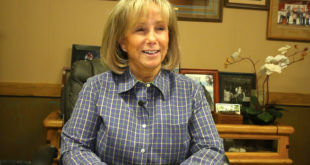 Check out Debbie’s interview! Mike McEntire won the Prime Time Open Championship in Saturday’s derby action! Check out Mike’s interview!